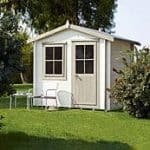 This grand-looking structure offers plenty of room and a lot of utility. 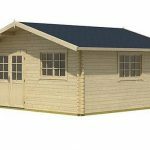 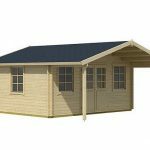 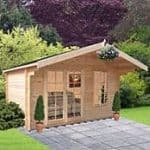 The 5.5m x 4m Pool House Log Cabin has impressive 44 mm tongue and groove cladding, so you have a building that can withstand whatever the elements throw at it. 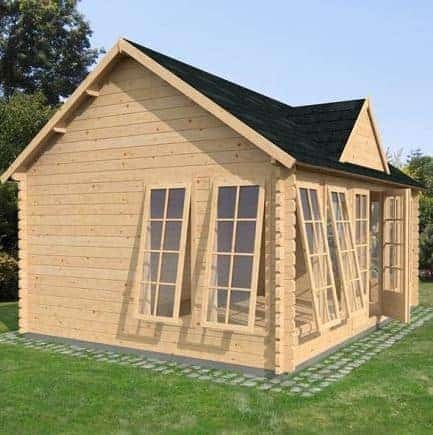 To reinforce this solidity and safety, the building comes with a 10-year anti-rot guarantee as standard. 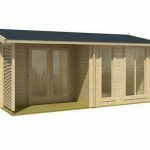 The floor comes with 19 mm tongue and groove, so the overall effect is that of a very sound and solid structure. 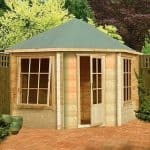 Heavy duty mineral felt on the roof maintains the protection the structure provides.